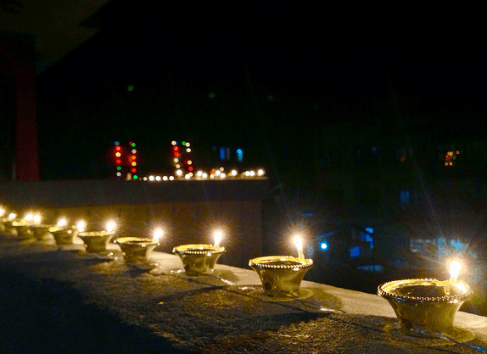 Tihar; also known as Deepawali or Yama Panchak is a main part of Nepalese culture that signifies happiness, luck, harmony among all the people and considered as the second biggest festivals in Nepal after Dashain. This festival is celebrated countrywide by Nepalese people irrespective of their caste and creed. Amid this celebration people respect and worship crows, dogs, cows, Laxmi; the goddess of wealth and luck, brother, Gobardhan and reverence one’s body or self (also known as Mah Puja). Tihar is also known as “Festival of Lights and Flowers”, as entire nation are decorated with vibrant flowers and use immensely to adorn houses and offices. Additionally, the colorful flowers that blossom in every house gardens embellish the entire surroundings. 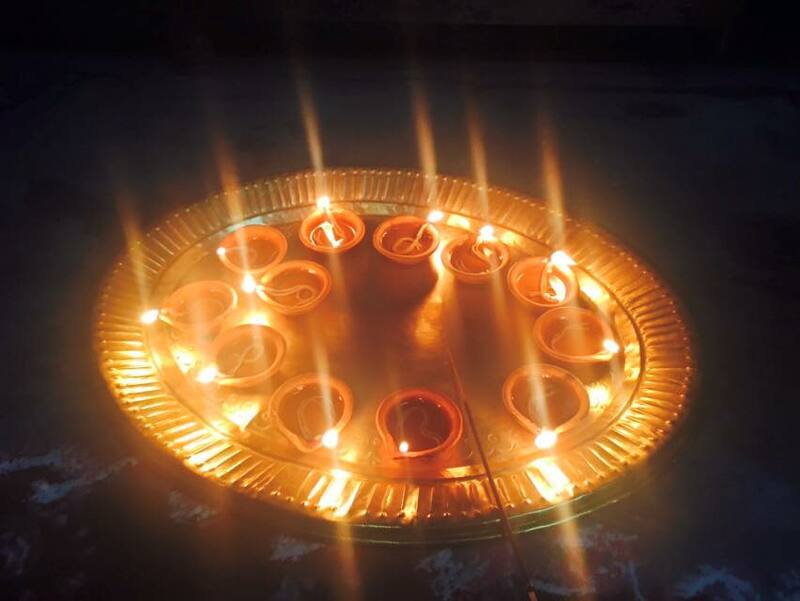 People also lit candle, electric lights and oil lamps inside and outside house throughout the festivals to make it illuminate at night and welcoming Goddess Laxmi. 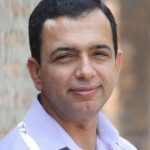 Tihar generally falls in either October or November (Kartik Nepali month).However, the date of observing the festival depends upon the cycle of the moon. Tihar is a five-daylong festival which starts with Kaag Tihar (the worshipping of the crow) in Trayodashi of Kartik Krishna Paksha and ends with Bhai Tika in Dwitiya of Kartik Sukla Paksha. According to the western calendar, the festival occurs in October or November. This year the festival occurs from 5th – 9th November 2018. Likewise, the festival will be celebrated from 25th – 29th October in 2019. Many stories prevail about celebration of the festival. One of the popular story is associated to Yama; “God of death” and his sister Yamuna. According to myth, Yama used to be very busy in his work that he stayed away from his sister for a long time. Yamuna desired to meet her brother Yama Raj so she took the help of various animals like crow, dog and cow as a messenger to call brother to meet her. But Yama didn’t come to see his sister Yamuna. Finally she herself went to visit her brother. After meeting him, Yamuna worshipped Yama with five colored tika and offered him with garland of Globe Amaranth flower (Makhamali in Nepali) and a special gift prepared by her. Yamuna made a circle with Dubo (Cynodon dactylon) dipped in mustard oil. Yamaraj being pleased by the love of his sister then announced that someone who receives tika from their sisters will not die on that day. Another famous story suggests that there was once a girl named Yamuna whose brother was ill prayed for his long and healthy life. One day when the Yama visited to take her brother with him, she was performing a Puja for her brother. Yamuna convinced Yama to be a part of the Puja and performed the ceremony with both. Yama being pleased with her and asked her to wish anything she wants. Yamuna then asked for the long and healthy life for her brother. Since then, Tihar is celebrated as a special occasion to pray for the long and prosperous life of the brothers. The Hindus regard crow as the messenger of the Yamaraj: the god of death and thus worship it on the first day of the festival to bring good luck in their houses. The people worship the crow and offer them with food, rice and sweets in the morning. They also believe that the caw-caw sound of the crow is the sign of the sadness of the crow that brings bad luck. Thus, on this day people please the crow by feeding them to prevent from bad happening and wish to bring them good luck. The second day of Tihar worships the most loyal animal to humankind: the dog. The day is a chance to express gratitude towards dogs for safeguarding our homes and lives. Generally, male dogs are worshipped and are put on with a red tika on forehead and beautiful garland around their neck. The people also treat with delicious food to dogs. 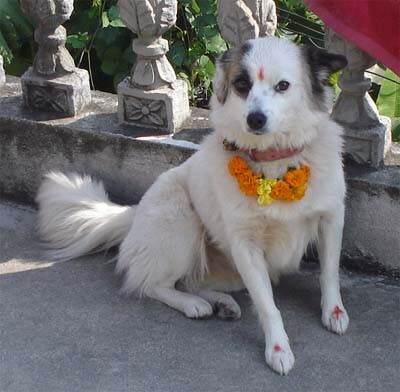 Almost every dog of the street is found with a tika and a garland. The dogs are also regarded as “the gatekeeper of the death” and believed that they can predict the dangers in future days. The dog is also the steed of the fearful Bhairab, the god of destruction. Thus worshipping the dogs in this day helps to prevent the dangers in the year to come. The Nepalese policemen also offer beautiful garlands to the patrol dogs to express their contribution in the national security. People worship the Cow in the morning of the third day. The cow is a holy animal in Hindu mythology and is considered as goddess Laxmi. The cow is of huge benefits to the people since the past. The milk, dung, and urine are used for purification in various rituals. The cow is also considered as a mother since we fed upon the milk since our childhood. Thus, this day the cow is offered with tika, garland, and delicious foods as an indication of thankfulness. The following afternoon is all busy with cleaning and decorating the houses. The houses are painted with Red mud and cow dung. 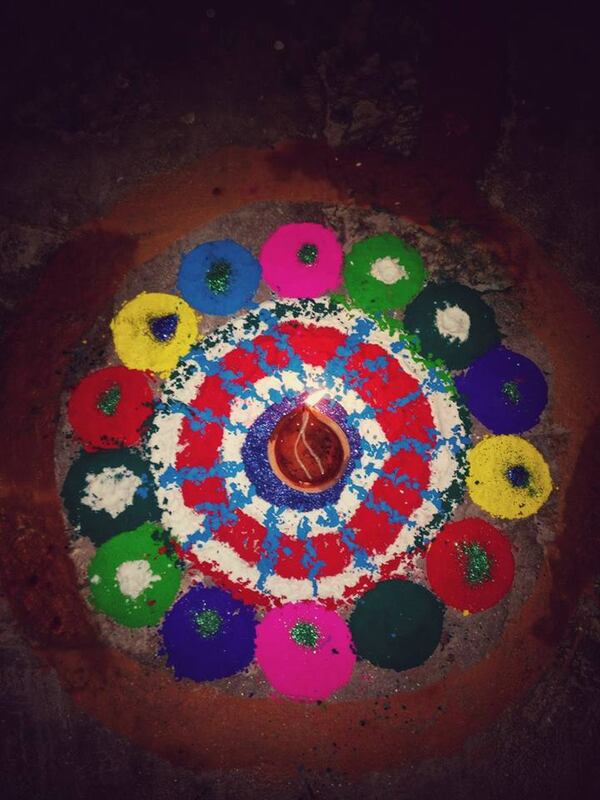 Colorful rangolis are made of various designs on the main gateway of the house and lit a candle or a Diyo at the center. Small footprints are made from the mixture of the flour and color that are painted from the rangolis to the Puja room. These footprints are believed to guide the goddess Laxmi inside the house. The evening is more special for it particularly involves the worshipping of the Goddess of wealth: Goddess Laxmi. 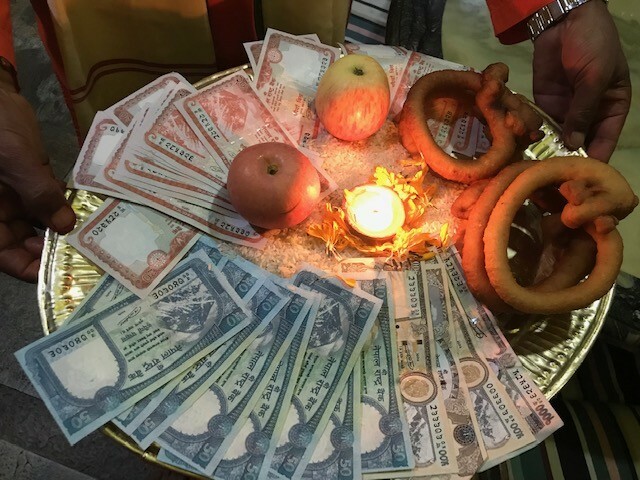 Along with the Goddess, the people also worship money and other various properties. The people request the Goddess to come in their house and bless them with wealth and prosperity in life. While the elder people are busy with worshiping the Goddess in the evening, the children visit their neighbor singing Deusi and Bhailo songs. The fourth day celebrates three different kinds of Puja. The first one is Goru Puja which is the worship of the Oxen. Likewise, Goverdhan Puja is performed by making a hill of Goverdhan Parbat by using cow dung. In the night, especially the Newar community performs Mah Puja. The Mah Puja is the ritual of celebrating own existence and understanding own value. The members of the family sit on a row and make a mandap for each of them which are decorated with flowers, sweets, garland, and lights. The female member of the family offers the other members of the family with Sagun which consists of the fried eggs, sweets, lentils and local wine made from rice. 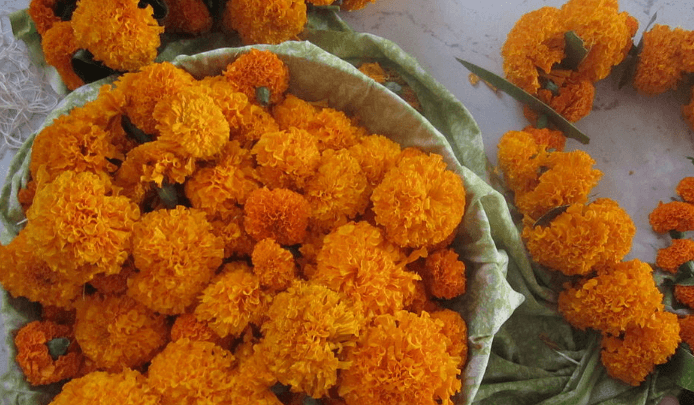 The last day of the Tihar is Bhai Tika and is the most auspicious day of the festival. Bhai Tika is a reflection of love and bond between brothers and sisters. The tika is believed to strengthen their love and make the bond stronger. On this day, brothers and sisters come together to celebrate their love and bonding. Sisters apply seven different colors on forehead of brothers, draped with garlands made from Sayapatri (Marigold) and Makhamali flower around their neck and serve them with various sweets and dishes. They encircle their brothers with the mustard oil so that Yama; the god of death cannot reach them and thus they will live a long life. The sisters pray for the long and prosperous life of their brothers. 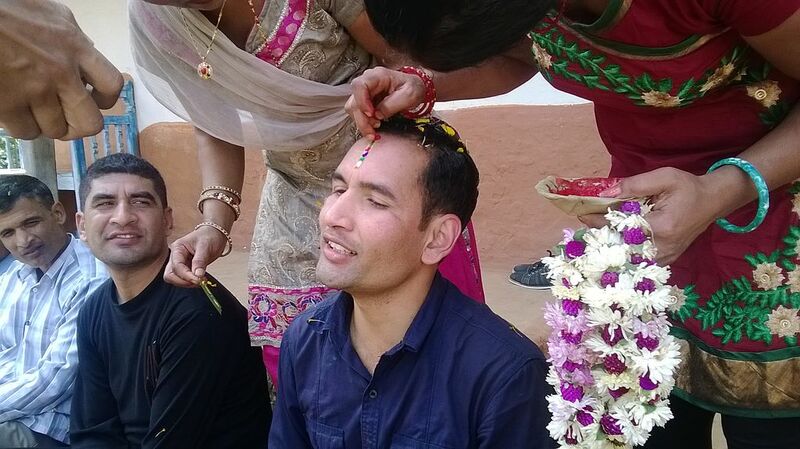 The brothers also put the Tika on their sister’s forehead, bow their head and make a promise to protect her till the end of life and surprise their sisters with special gifts and money. Lights are the most important part of the festival. Along with cleanliness, each house is beautifully decorated with various colored electric lights. The hand-woven oil lights (Diyo) and candles are lit and put on the entry points, and the windows of the houses. As the dusk approaches, the entire country seems to be floated on the ocean of lights. During this festival, young people and the children gather in groups and visit door to door singing melodious songs like Deusi and Bhailo. They sing and dance in different cultural and modern songs. The groups are offered with various items like fruits, sweets, Rotis, money,and flowers. The Deusi Bhailo groups in return give a blessing to the house that the goddess Laxmi will reside in the house and pray for the prosperity of the householder. Tihar is also famous for the number of dishes prepared during the occasion. Varieties of Rotis are prepared in almost every house which includes Sel Roti, Anarasha, Fini, Chini Roti and many more. Particularly famous is the Sel Roti made by cooking the mixture of the rice flour, ghee, sugar, milk,and many other ingredients. The mixture is poured into the hot oil by hand in a circular shape and cooked until it turns golden on both sides. The firecrackers are also a major part of Tihar celebration. The sounds of the firecrackers from near and far are heard. 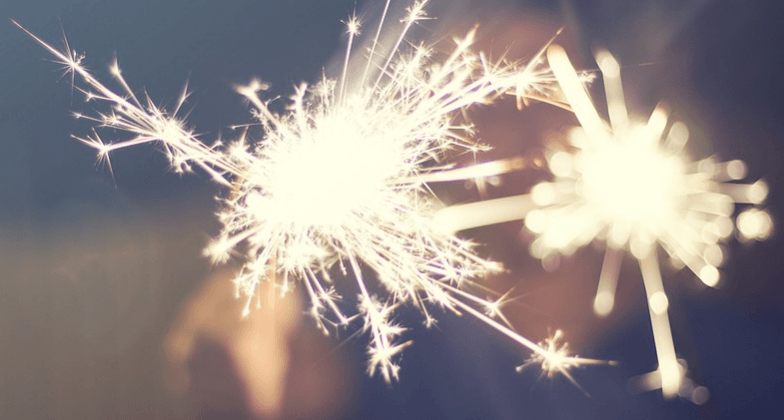 Everyone from a child to an adult seems to enjoy playing with the firecrackers. Playing cards is one of the favorite parts of the festival. Families and friends gather around and enjoy playing cards. Gambling is banned in the country. However, people can have a quality and fun time with family by playing cards. With the ecstasy and full of delight, the most colorful and dazzling festival comes to an end after these five glorious days.